Acharya Virasena (792-853) was a Digambara monk and belonged to the lineage of Acharya Kundakunda. He was an Indian mathematician and Jain philosopher and scholar. He was also known as a famous orator and an accomplished poet. 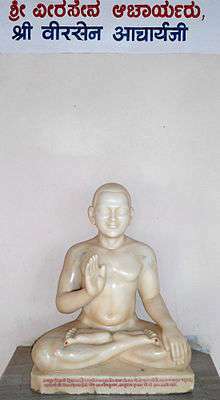 His most reputed work is the Jain treatise Dhavala. The late Dr. Hiralal Jain places the completion of this treatise in 816 AD. Virasena was a noted mathematician. He gave the derivation of the volume of a frustum by a sort of infinite procedure. He worked with the concept of ardhaccheda: the number of times a number could be divided by 2; effectively base-2 logarithms. He also worked with logarithms in base 3 (trakacheda) and base 4 (caturthacheda). Virasena gave the approximate formula C = 3d + (16d+16)/113 to relate the circumference of a circle, C, to its diameter, d. For large values of d, this gives the approximation π ≈ 355/113 = 3.14159292..., which is more accurate than the approximation π ≈ 3.1416 given by Aryabhata in the Aryabhatiya. Virasena was proficient in astrology, grammar, logic, mathematics and prosody. He wrote Dhavala, a commentary on Jain canon Shatakhandagama. He also started the work on Jayadhavalaa which was competed by his disciples. He was among the jewels of Rashtrakuta king Amoghavarsha. ↑ Jaini 1991, p. 111. 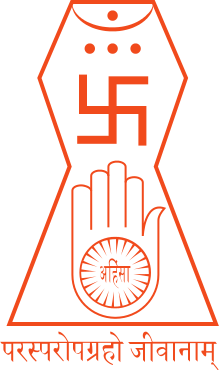 ↑ Nagrajji, Acharya Shri (2003). Agama and Tripitaka: Language and Literature. Concept Publishing Company. p. 530. ISBN 9788170227311. ↑ Natubhai Shah 2004, p. 31. Singh, A. N. "Mathematics of Dhavala". Lucknow University. Translation of part of the Dhavala.